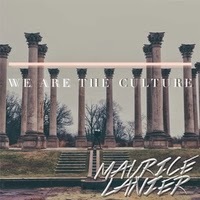 Maurice Lanier (born Maurice Andre Murphy on July 16, 1982) is a singer, songwriter, and arranger based in Washington, D.C. His eclectic influence on music is just as diverse as his culturally-diverse background. Due to his parents' honorable service in the United States Air Force, Lanier was naturally inclined to adapt to several different cultures over his life as he moved around the globe from his childhood all the way into his early adulthood. Born on Keesler Air Force Base, Mississippi, Lanier was raised moving around the United States and Europe including various cities in New York, Georgia, Massachusetts, Texas, Germany, and later moved to Washington, D.C. to join his mother and reunite with their family who are natives of the D.C. Metropolitan Area.